Be the first to share your favorite memory, photo or story of Jerad . This memorial page is dedicated for family, friends and future generations to celebrate the life of their loved one. 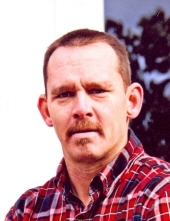 Jerad Tungesvik, age 40, of the Bethany Life Community in Story City and formerly of Boone, died at Bethany Life on January 16, 2019. Following his wishes, Jerad has been cremated. A Memorial Service will be held on Saturday, January 26, 2019, at 11:00 a.m., in the Chapel of Bethany Life with Rev. David Burling officiating. A private family burial of his cremains will be in the Linwood Park Cemetery in Boone, at a later date. Jerad Roger Tungesvik, was born in Boone, Iowa on December 31, 1978, the son of Loren and Cheryl (Huffman) Tungesvik. Jerad worked as a HVAC technician. He enjoyed fishing with his grandfather in earlier years. He later enjoyed downhill skiing, working, attending buckskin rendezvous, and collecting eagle figurines and anything pertaining to eagle’s. Jerad’s greatest accomplishment was his children. He is preceded in death by his mother, Cheryl (Huffman) Tungesvik; grandparents, Arvid and Arlene Huffman, and Si and Alice Tungesvik; and an aunt, Marilyn Reisetter. Jerad is survived by a son, Gage Tungesvik and a daughter, Kaidence ‘Kaidee’ Tungesvik, both of Blairstown; his parents, Loren and Mary Jo Tungesvik of Radcliff; a sister Kia (Tungesvik) Woodard and husband Jeff of Altoona; a niece and nephew, Hayden and Madelyn Woodard of Altoona; his stepchildren, Jayden and Zander McClintock of Blairstown; several aunts, uncles, and cousins. Jerad’s eyes and tissue have been gifted to help others. Friends may call at the Bethany Life Chapel on Saturday, from 10:00 a.m. until service time. In memory of Jerad, memorials may be directed to the Bethany Life Foundation or a charity of your choice. To send flowers or a remembrance gift to the family of Jerad Tungesvik, please visit our Tribute Store. A private family burial of his cremains will be in the Linwood Park Cemetery in Boone, at a later date. "Email Address" would like to share the life celebration of Jerad Tungesvik. Click on the "link" to go to share a favorite memory or leave a condolence message for the family.